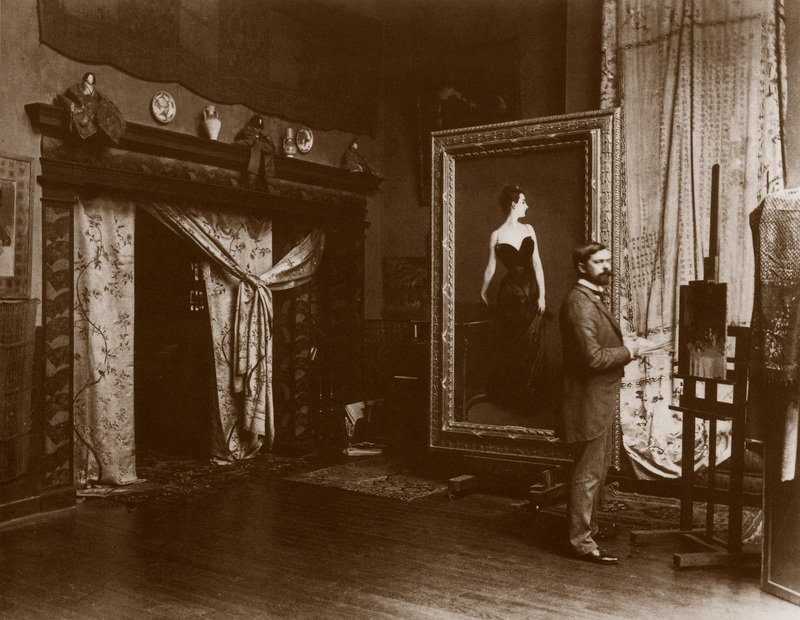 John Singer Sargent is one of my favorite painters. 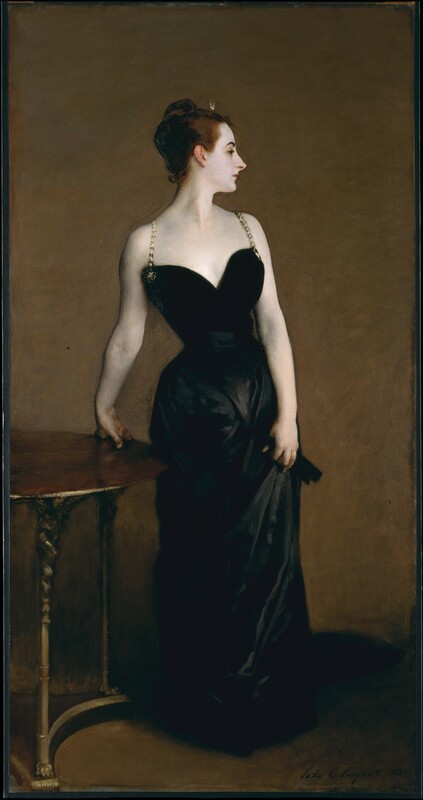 This past weekend I went to The Metropolitan Museum of Art here in New York City and I went to see my favorite of his… Madame X. First of all, I love portraiture. Being able to capture someone’s likeness has always fascinated me and it is what I love to do. The story behind this painting is amazing and if you would ever like to learn more about it and the artist I highly recommend the novel “Strapless” by Deborah Davis. Sargent had an amazing style. His drawings and watercolors are as wonderful as his oil paintings. Many of the oil paintings are very large, as you can see by the image below of the artist in his studio with Madame X.
I am particularly drawn to how he paints fabrics; they simple beg to be touched as he’s able to capture their texture perfectly. Even his pencil drawings are so inspirational. His ability to capture the texture of fabric is amazing. Simply amazing! I am a homeschooling mom, who will be sharing this portion of your blog with my kids. Friday is Art day in our house. Thanks for posting! Thank you so much! That’s great that you have an Art Day for your kids. I’ll keep that in mind. Peace.